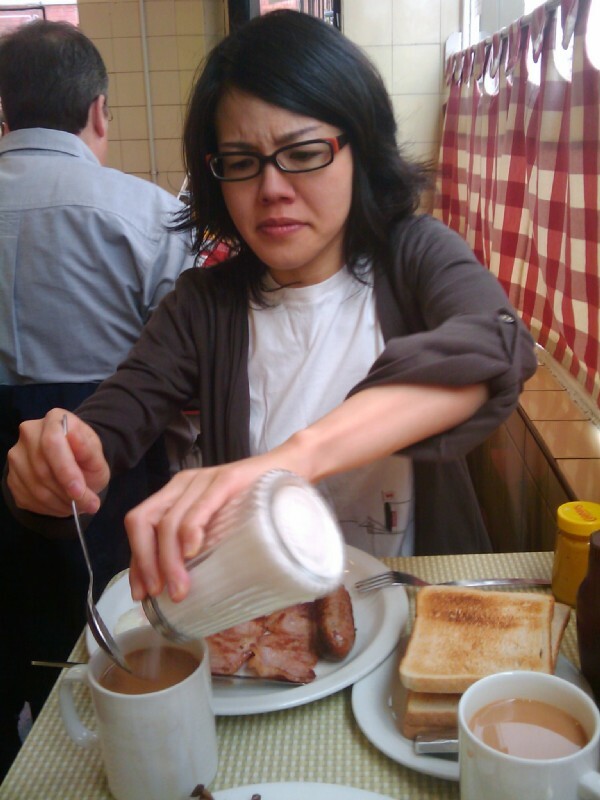 10:41:21 Chie sugaring the fabulously strong tea at the Regency. 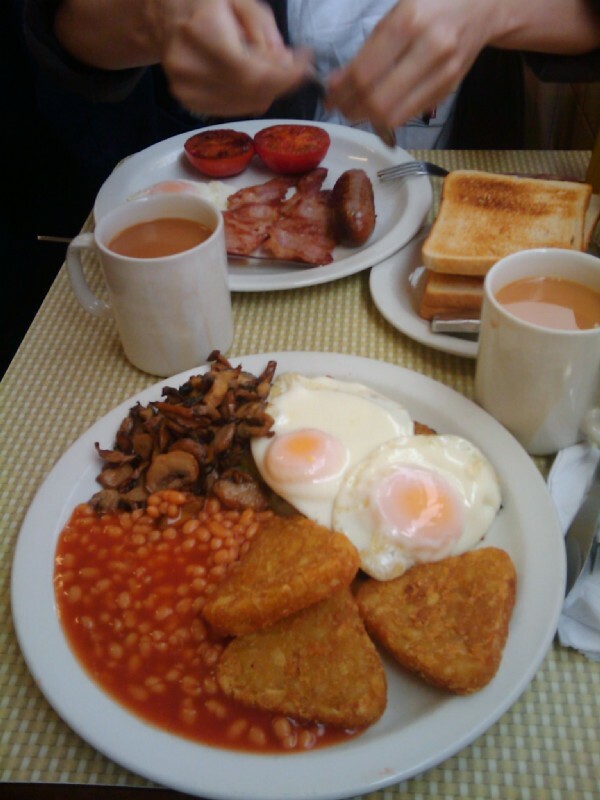 10:41:28 This really was on of the best vegetarian English breakfasts I've ever had - hidden under those fried eggs is some bubble and squeak, quite delicious. 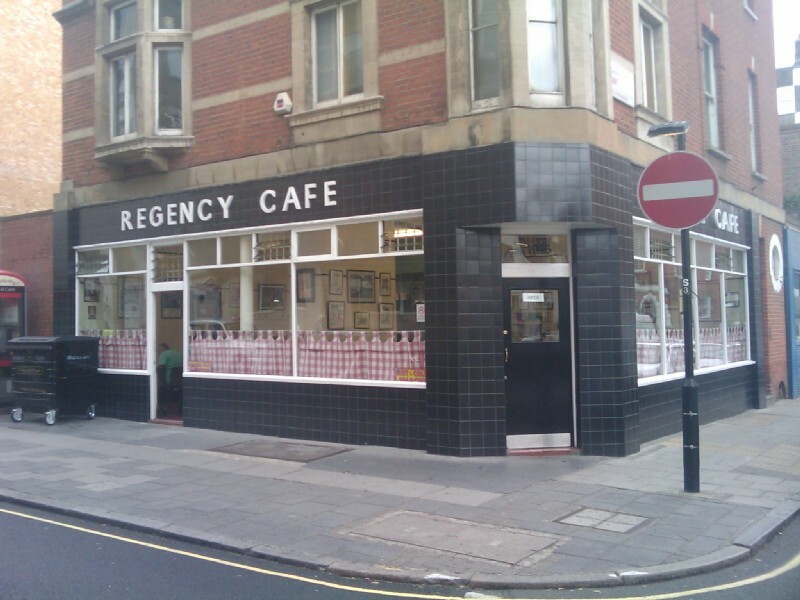 11:02:01 The Regency Café from the outside. 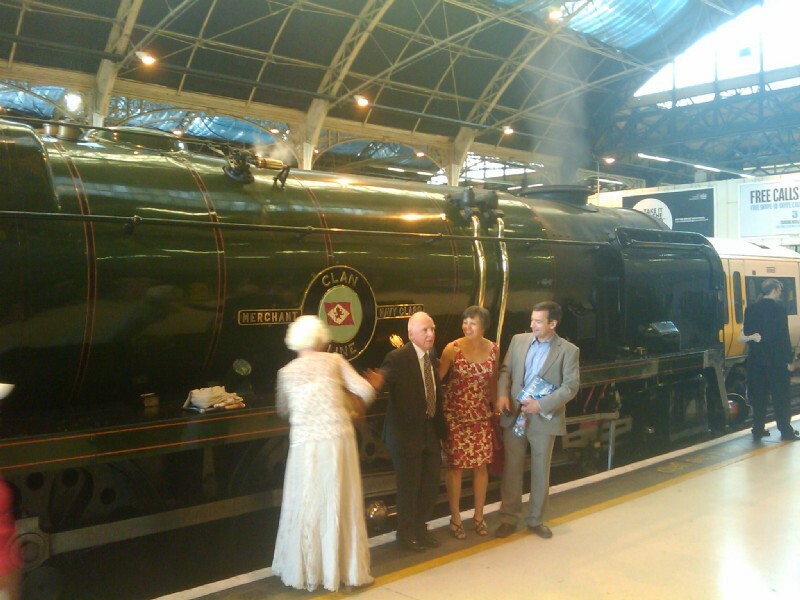 16:20:50 In Victoria station - a rather splendid steam locomotive was there to great us. 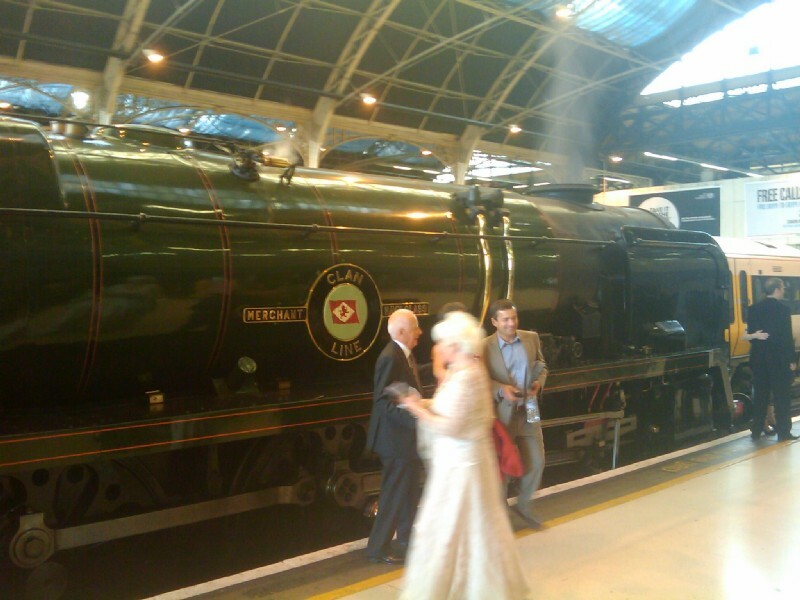 16:20:57 16:21:06 ...there's the driver. 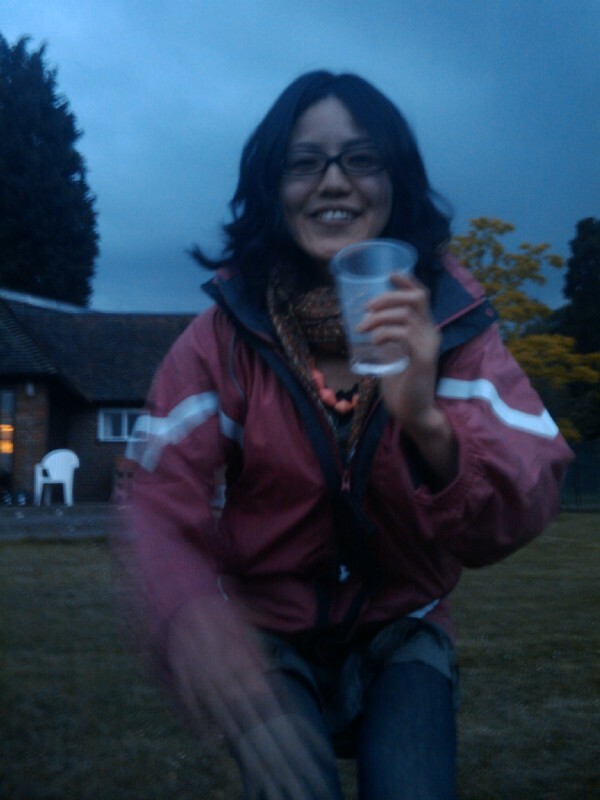 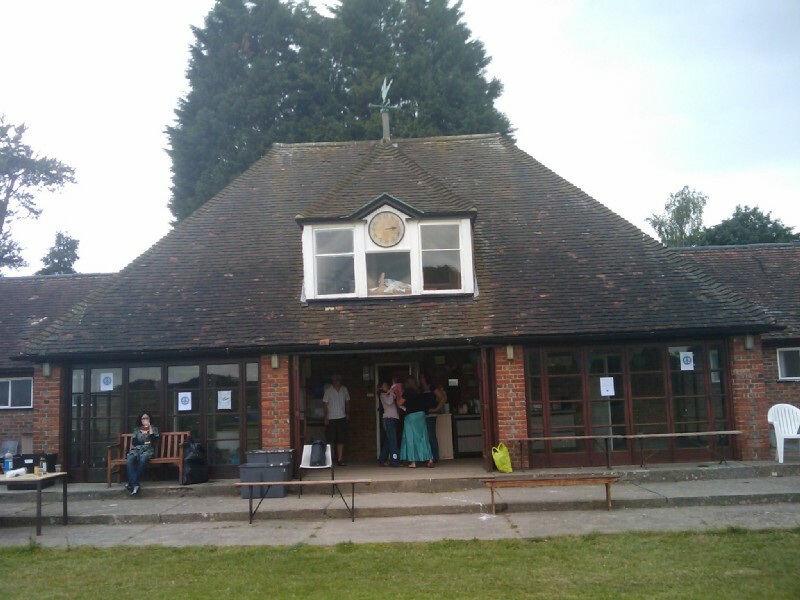 18:20:24 The cricket pavilion in East Malling which was to be the venue for this Michelle's birthday party. 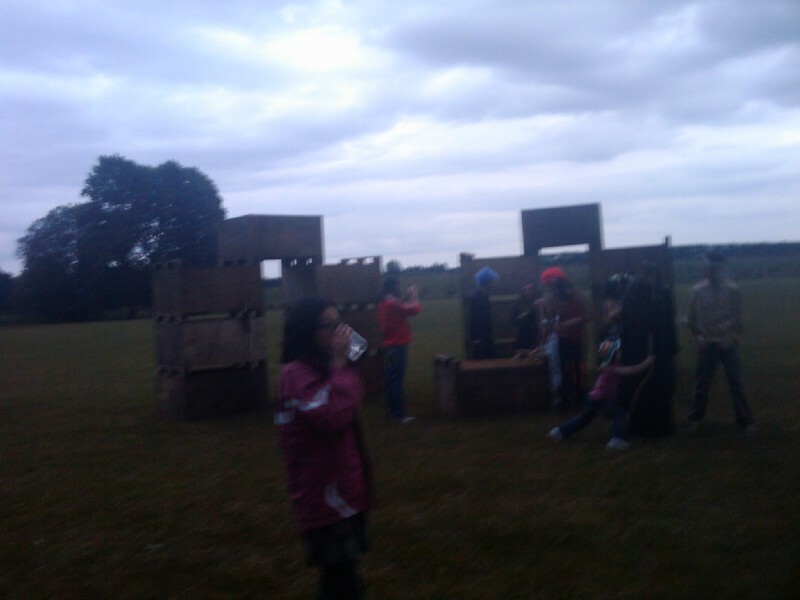 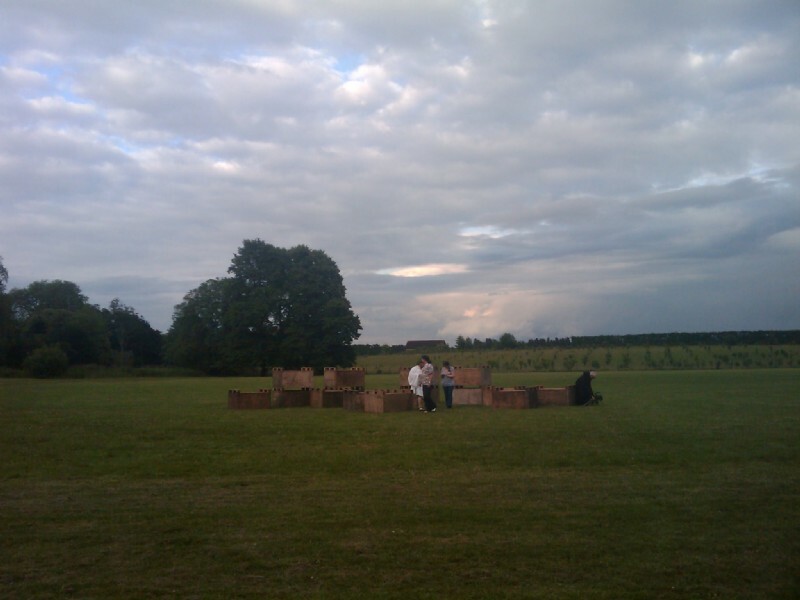 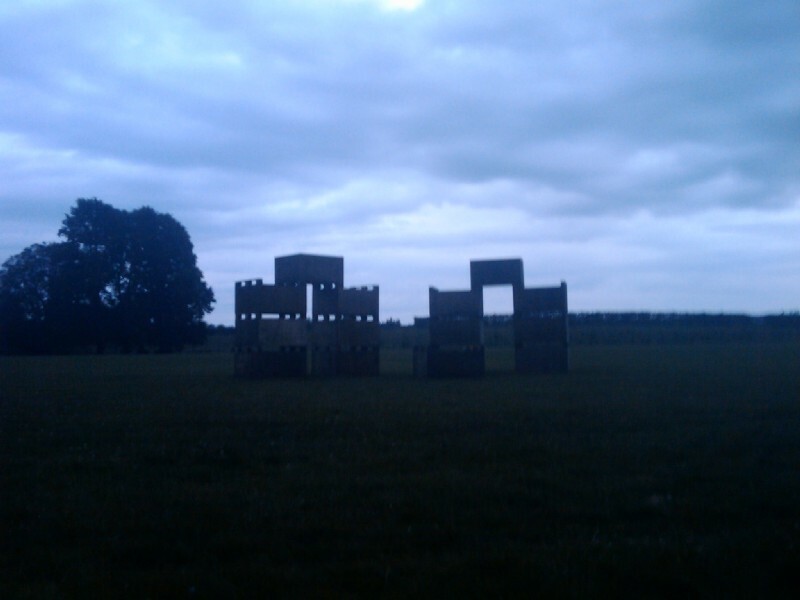 19:36:13 Out in the field, the beginnings of a reconstruction of stone henge, built from apple crates. 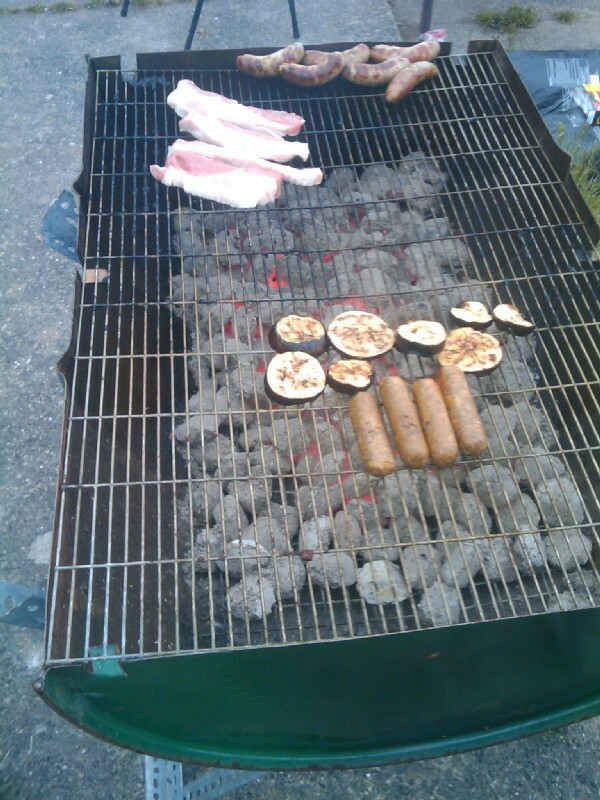 20:23:27 The barbecue! 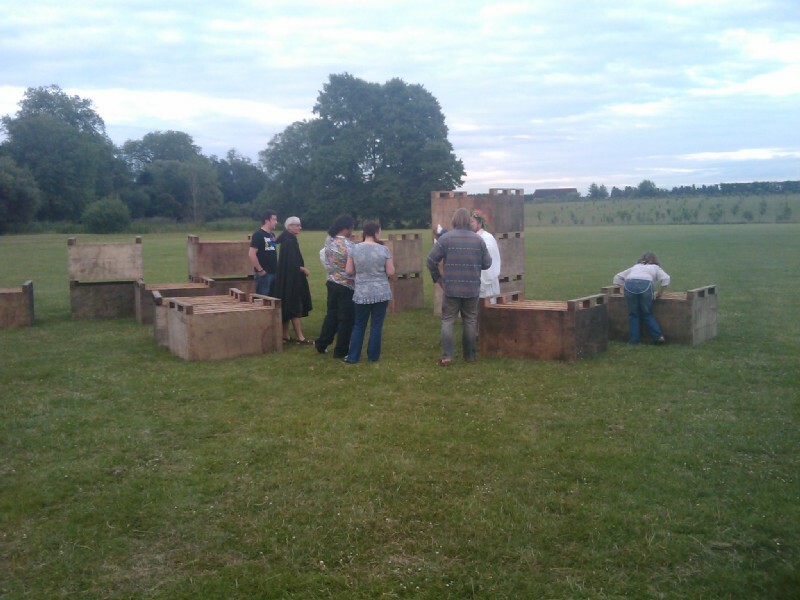 20:23:56 ....construction of Crate Henge proceeds.. 21:21:03 ...and a bit more - almost done there! 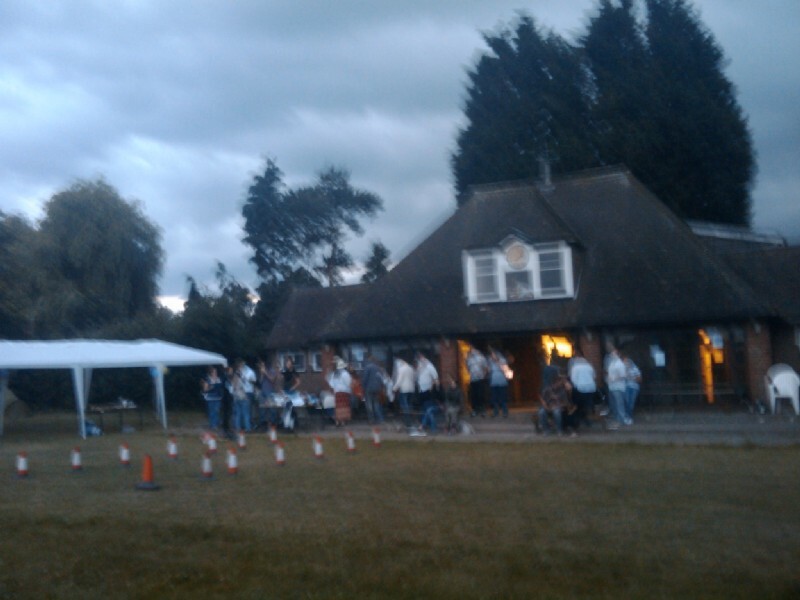 21:21:17 Blurry picture of the pavilion as it starts to get dark.